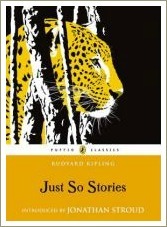 The Just-So Stories are a series of short stories for children written by English writer and poet Rudyard Kipling. They began as stories Kipling told to his little daughter, Josephine, and were first published in 1902. 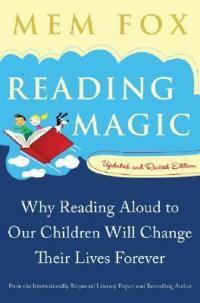 The stories are delightful, fantastical tales which explain how various things - mainly animals - came to be. 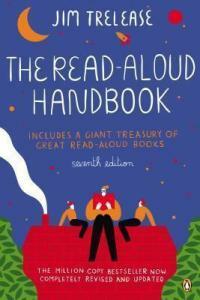 They're great fun to read and work wonderfully well for reading aloud to children. Although the stories were written a long time ago, they're classics of the English language which is why I've written this page and why I think it's such a great idea to share them with young children. Kids need to be exposed to a variety of different types of language so that they develop wonderful rich vocabularies and an important pre-reading skill called phonological awareness. Kipling's use of rhythm and language is fantastic which means that children, as they listen to the stories, unconsciously absorb vital information about how language works. The stories are each about 6-8 pages long so they make great bedtime stories. Kipling began to invent them for his daughter, Josephine, when she was about three and he continued to invent new stories over the next two or three years so the stories are intended for children in this age group. I've found that they're best-suited to children aged between three and six but have also read them to children aged up to eight. 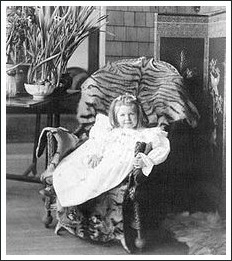 Sadly, Josephine died in 1899 of pneumonia when she was only six. Each of the Just-So Stories tells of an animal which is changed from its original form to its current form by the act of a man or of some magical being. For example, How the Camel got his Hump tells the story of how a hump was given to the camel by a djinn as punishment for the camel refusing to work so that the camel would be able to work longer between feedings. Some of the tales also have a moral or a cautionary message to them which was common with stories written for children in Kipling's day. For example, the camel was punished because he was lazy. 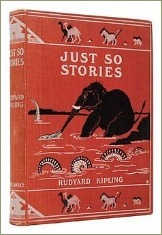 The original editions of the stories were illustrated by Kipling himself. 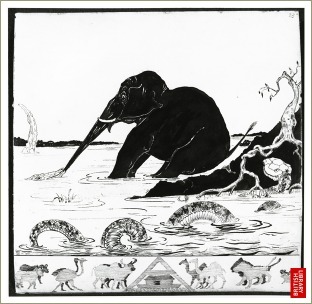 The black-and-white drawing above is one of Kipling's illustrations for The Elephant's Child. Kipling's novel, The Second Jungle Book, published in 1895, contains a story which was probably a fore-runner to the Just-So Stories. It's called How Fear Came in which Mowgli hears the story of how the tiger got his stripes. The Just-So Stories were originally published together in one book. Our family owns the copy you can see on the right (or click here to see it). The stories have also been published separately in picture-book format. Click on the links below to see my favourite versions of these. If you'd like to read more about the author of the Just-So Stories, Rudyard Kipling - including how he ended up with such an unusual first name - click here. To listen to free audio versions of some of the stories, check out the wonderful storynory.com site.